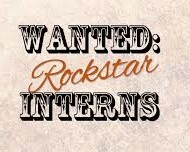 I’m looking for two casual copywriting and marketing interns on the Gold Coast. You’ll be paid for your time, have a passion for meeting people and work with me on a smorgasbord of online and offline direct response sale copywriting and other marketing projects. You’ll be working on real projects for real clients. These are not tea and coffee making positions and I’ll never ask you to walk my dog. Any skills in marketing, social media, copywriting, website design or proofreading and editing would be an advantage but are not essential. These internships are perfect for someone considering a career in copywriting, online and offline marketing, content writing or blogging and looking for a foot in the door.